SYDNEY: A study released on Thursday has shown that bees, despite their tiny brains, are able to solve basic addition and subtraction problems — a stunning feat considering the level of cognition required for arithmetic. The research, led by scientists from RMIT University in Australia, involved training individual honeybees to enter a maze where they would encounter between one and five shapes, coloured either blue or yellow. 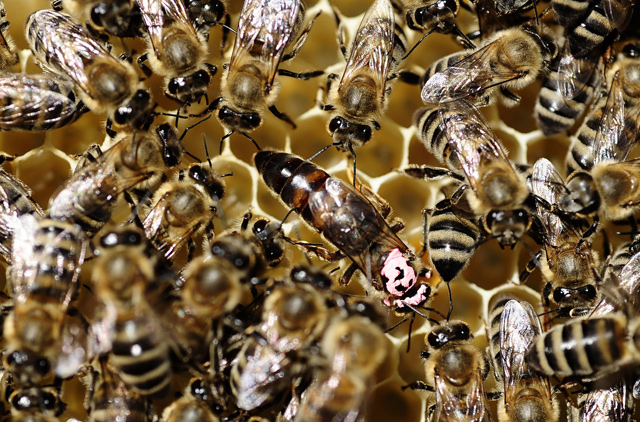 Previous studies have shown that primates, birds, babies and even spiders can add and subtract and now bees can join that highly achieving group. Solving maths problems requires two levels of sophisticated cognition, the first being to hold the rules around adding and subtracting in long-term memory, and secondly to mentally manipulate a specific set of numbers using short term memory.